7 all suite rooms in total, built by the famous Tadao Ando. reflects off the calm mirror-like Seto Inland Sea. 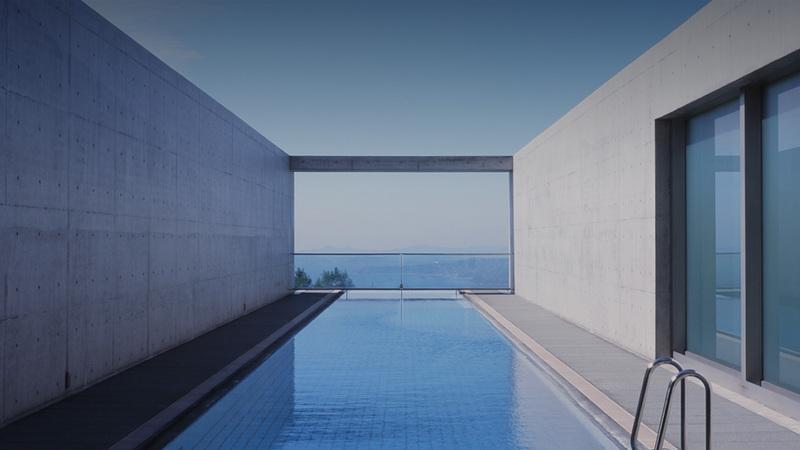 built by the famous Tadao Ando. 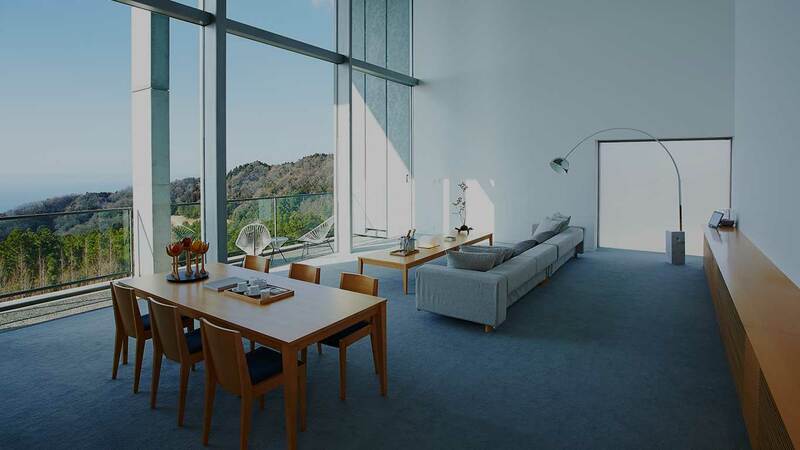 MINIMAL LUXURY – A place to strip away all the unnecessary, and simply give in to the blue sky and the calm, mirror-like Seto Inland Sea. Take in and enjoy the luxury of total tranquility found only here. Gathering all the abundant legacy of Japanese nature, history and culture . A new spot in tranquil Setouchi is born. A luxurious hotel with 7 all-suite rooms built and designed by Tadao Ando, world-renowned architect with numerous awards. Recently the “Setouchi International Art Festival” has been drawing an attention from around the world. Naoshima is the central venue of the festival and houses Tadao Ando’s work from “Chichu Art Museum”, “Benesse” and “Ando Museum”. Our Setouchi Retreat Aonagi joined this lineup, representing Seto Inland in Ando’s architectural masterpieces. 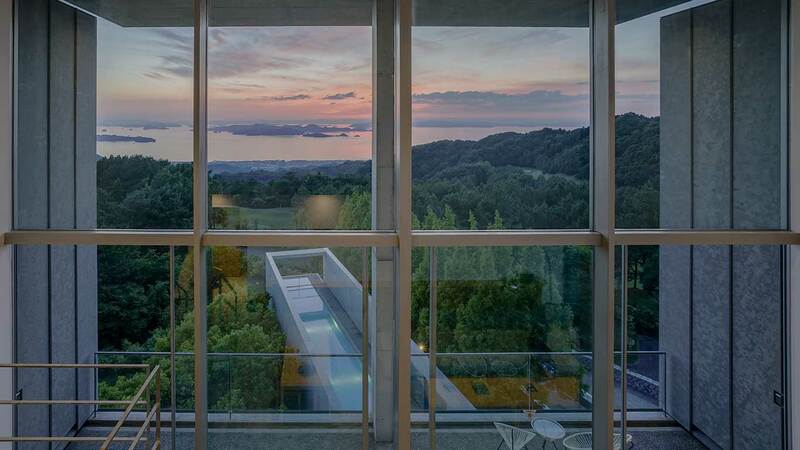 A once familiar art museum was renovated and transformed into a small luxury hotel here in the Seto Inland Sea. Mr. Tadao Ando was born in Osaka. Self-taught in architecture, he established the “Ando Tadao Architectural Research Facility” in 1969. Some of Mr. Ando’s masterpieces consist of “Rokko Housing Complex”, “Church of Light”, “Fabrica (Benetton Art School)”, “Pulitzer Art Museum”, “Chichu Art Museum”, “Omotesando Hills (Aoyama Dojunkai Apartment Rebuilding Plan)”, “Punta Della Dogana” and “Shanghai Baoli Theater”. In 1979, “Row House In Sumiyoshi” earned him the architectural institute of Japan Award. Following are some of Mr. Ando’s life achievements and awards: 1985 Alvar Aalto Award; 1989 French Academy of Architecture gold medal; 1993 Japan art academy prize; 1995 Pritzker Prize; 1996 Takamatsu Premium Imperial Award; 2002 AIA gold medal; Kyoto Award; 2003 cultural contributor; 2005 UIA ‘Union Of International Architects) gold medal; Rejiondonu le medal (Chevallier); 2006 Environmental conservation merit; 2010 JFK Center Arts gold medal; Shinpei Goto Award, order of culture; 2013 France Medal Of Arts; 2015 Order Of Merit Of The Italian Republic Grande Uficha – Les Chapter. 2011 Vice Chairman of Reconstruction Design Council in response to the Great East Japan Earthquake. Chairman of the Committee, Momo-Kaki Orphans Fund (re-established after the Great East Japan Earthquake, to collect funds to provide aid and encouragement for the children). Taught as a visiting professor at Yale University, Columbia University, and Harvard University. Professor at the University of Tokyo since 1997. Professor Emeritus of the University of Tokyo since 2003. Also an author of many books published in English, such as «Tadao Ando: Complete Works», «Tadao Ando : The Colours of Light» and «Tadao Ando 1: Houses & Housing (English and Japanese Edition)». The 8-meter high, floor-to-ceiling window of our most prestigious 2-room Maisonette suite, The Aonagi Suite, offers a view of the majestic “blueness” of the sky and sea, truly portraying the “Ao (blue)” of the “Aonagi”. The Hot Spring Suite houses a newly developed full flat bath tub. The Garden Suite with wood furnishings, a wood balcony and an exclusive view of our garden. Groups and families can enjoy time together in our Ocean View 4-Bed Suite. All spread over a 100sq. 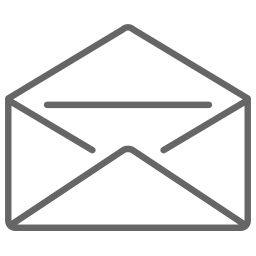 meter (1076sq. ft) space. Welcome to the world of true tranquility achievable only here at Aonagi. 2 pools, a hot spring jacuzzi, a sauna, a dining room, a spa and an art gallery – All for our guests staying at our 7 rooms. “THE CAVE”, one of our pools, can be reserved for private use, while our outdoor pool “THE BLUE” reflects off the clear blue sky comparable to the reflection off from the Seto Inland Sea. Dining “Minagi” showcases seasonal ingredients from the region of Seto Inland. A new form of “Washoku” (traditional Japanese cuisine) is created and offered straight to our guests’ tables from our local farms and fishermen. Please enjoy the culture and elegance of Iyo’s culinary riches. Seto Inland’s grace, beauty and blue ocean can be viewed from the wide window of our private spa room. 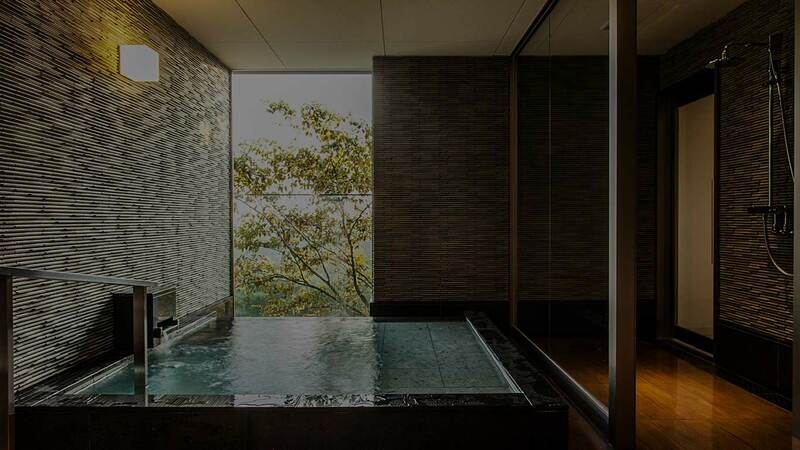 Relax your body and mind with this heavenly view, and enjoy true tranquility. All products at our spa are produced with all-natural ingredients from Japan. Enjoy this the bliss of our “all-hand treatments”, relax, heal and energize. Art is all around you at our hotel – The architecture; Sunlight and reflections off the Seto Inland Sea pouring into the buildings; View of the Seto Inland Sea. Even our dining experience is an art. Added to all this collection are minimalist art pieces displayed throughout our property. Our hotel is located right on Elleair Golf Club Matsuyama, a prestigious private club, well-known for hosting LPGA of Japan Daio Paper Elleair Ladies Open. Though usually closed for non-members, our hotel guests can enjoy the prestige of their exclusive golf courses, with just a 1-minute ride in a golf cart from the hotel. Time seems to stop here while gazing at the calm sea and majestic nature of Seto Inland. “Setouchi Retreat Aonagi” is situated in the outskirts of Japan’s most immense and monumental Seto Inland Sea National Park. A variety of recreational activities await you. 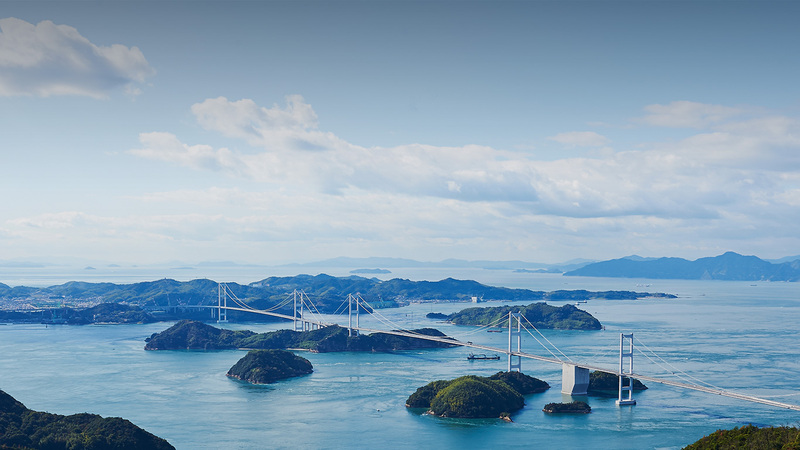 Some of the must-visit places are Dogo Onsen, oldest Japanese Hot Spring, Hiroshima and Onomichi metropolitan area that are connected by the Seto Inland Shimanami Sea Route. Please follow the “Elleair Golf Club Matsuyama” road signs. A shuttle service to & from the hotel is available at JPY 3,000 (plus tax) per car from the following sites. The driver will meet you, holding a sign with the hotel name. 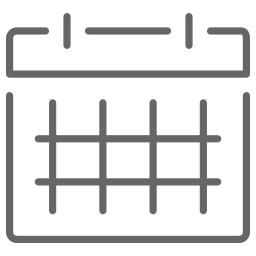 A reservation is required 3 days prior to your check-in date.